What Is a Dog Clipper? How to Choose the Best Dog Clipper? There’s one thing about dogs that no one can ignore, i.e, their wavy or shiny fur. This shiny fur or coat makes them look even more adorable and beautiful than they already are. But every pretty thing comes with a price to pay and that is taking care of the fur to the best of their quality. And that is when Dog Clippers come into the picture. Long fur of dogs requires certain care. Often for grooming or hygiene reason, dog hair needs to be trimmed. This allows showing a dog’s physical appearance more clearly as well. Dog grooming is also a profession and the expert behind the Dog Grooming Clippers is called a dog groomer. We have reviewed the top Dog Grooming Clippers both for regular pet parents to save some money on dog grooming as well as for professional dog groomers to make some serious money. Enjoy Pet is a budget dog clippers for regular dog parents. It runs on a battery so no more tangling wires. Further, it is lightweight, easy to handle, and runs for 5-6 hours, making it the Best Dog Clippers for any home user. Though it functions on battery, it provides a power-packed performance with 9000 SPM that swiftly cut dog hair thin to medium thickness. Wahl is one of the most desirable and reliable dog grooming brand on the market due to its world-class Dog Trimmers. The best thing about the Wahl Motion is that it works on both battery and conventional power outlet so you can be prepared for all the situations. With a high-quality blade that moves with 5,500 strokes per minute and great torque, this trimmer is one of the best options for professional dog groomers. A dog clipper, although may look the same as a human clipper, functions differently and is made for the dense fur of dogs. While the thickness of human hair ranges from 17 to 181 µm, dog fur is pretty much thicker. Not only dog coat is thicker but it is also more dense and uniform. Therefore, to trim dog hair, you’ll require something different with more power, which is dog clippers. Dog clippers usually function the same way any other Dog Trimmers do. The major difference is that they provide constant torque, which is essential when dealing with pet hair. The dog coat is often so dense that hair may get clogged into it, therefore, constant torque helps the Dog Grooming Clippers to not to stop functioning even in the most challenging of areas. Also, some of these Dog Grooming Clippers are even designed for big animals such as horse and provide extra cord length for the groomer to do his work without any hassle. Check out our reviews for the Best Dog Grooming Clippers on the market. Below are the top dog clippers on the market in no specific order. Starting with the best dog clipper on our review, the Wahl is the unbeaten competitor yet because of its rugged components. Having said about the components, these Dog Trimmers come with a whole grooming kit of 7 different clipper guide comb attachments. In addition to that, the Wahl sells these Dog Trimmers with warranty support of two years. Despite having the warranty terms of two years, Wahl dog clippers are made to last a long life. If you happen to use this Pet Clippers for your dog then the Wahl is going to last half a decade or more. Moreover, the apparent Dog Trimmers are useful for professional grooming and trimming the dogs. As the heavy-duty components are built to last for a long time. All because of its stainless steel blade with the adjustable taper settings. Note: Wahl is the best dog clipper despite being corded is because of its rugged components and the versatile dog grooming kit. In the end, this dog grooming machine comes with 16 piece grooming accessories. It can be useful to trim, groom every dog breed ranging from light fur to huge furry textures. These Professional Dog Clippers come with a warranty for 2-years. A powerful speed of 7200 strokes per minute. The cord length of these Professional Dog Clippers is decent at 8 feet, allowing to move around easily. Comes with 7 piece guide comb attachments. Free dog grooming kits (that’s not as exciting as it should be). Body and attachments are made of plastic. Not for those looking for a long-time investment. Starting with the second best dog clipper on our review list, the Oster turbo A5 is a tool like by many professional groomers. Not to mention, these Dog Trimmers come with a year-long warranty period. However, the Dog Grooming Clippers usually outlasts this period because of its quality. In addition to that, the A5 comes with a set of cryogenically hardened blades which are both long lasting and safe to use. Also, its dual speed setting allows you to use the long lasting blades to its fullest. In fact, this provision also allows you to use these quiet dog clippers for both the matted dog or the short haired dog. Additionally, this pet hair clipper has the universal motor hub which allows you to easily attach different blades. That said, these different blades are useful for every kind of dog with fur from short to long, matted, and even curly. Note: This pet trimmer comes with the cryogenically treated blades and allows you to choose two speeds to optimize the cutting action. In the end, this Professional Dog Clippers is suitable for all type of dogs having fur from sort to long. Further, its ten feet long cord allows you to perform the grooming stretching the cord to the far away socket. As a matter of fact, this word is of a heavy-duty texture. This dog hair cutting machine is suitable for every type of dog coat. Blades of the A5 are made using cryogenic processes and case hardening. There are ten cryogenic blades included in the deal. This deal inlcudes blade oil, clipper grease, cleaning brush, carbon brush. This deal does not include a grooming kit for dog. A5 produces a little vibration and sound in its faster motor speed. Case hardened blades will transfer a bit of heat when you try going on for long. Here, we have another entry from the renowned grooming and Dog Trimmers manufacturing brand Wahl. This is a rather different gene of a Dog Grooming Clippers that you have seen on previous ranks. The apparent pet hair clippers is a portable and mobile dog clipper. It allows you to take your dog in the backyard for trimming or grooming without any need of the power socket. The Wahl 9766 is a battery operated dog clipper that too, premium lithium powered one. Its battery works efficiently and requires about 15 minutes of charging time before it can work for 2 hours. In fact, the main advantage of having the lithium battery operated Professional Dog Clippers is that its light weight. Also, there is no looking back from buying these best dog clippers for thick coats when we tell you the Wahl 9766 has 5-year warranty support. In addition to that, the Wahl Dog Grooming Clippers comes with a 4 piece guiding comb set. Along with that, it has a complete grooming set which allows you to do all the basic grooming on your dog. Note: A rugged Dog Grooming Clippers powered by a lithium-ion battery and consists of a complete grooming kit and is one of the best dog trimmers for thick hair. The apparent Wahl Professional Dog Clippers come with greasing, cleaning, brushing accessories which are essential for using any such dog clipper. In this manner, you are getting a totally perfect deal to groom your dog with the best battery operated dog clipper. Lightweight battery operated dog clipper. The lithium-ion battery is a great powerhouse to keep the motor running for 2 hours. Battery needs only 15 minutes of charging. Stainless steel blades work great even if we consider the long term dog clipper reviews. It has a blade cleaning clip which works efficiently. This deal is consists of best dog grooming tools. The battery will not last as long as the motor and blades of this professional dog groomer clippersdo. Coming to the elite dog clipper, the Sminiker is one Dog Grooming Clippers which includes a huge grooming kit. This deal includes the dog clipper, a nail file, scissors, brush, comb, four guide comb attachments, cleaning brush, lubricating oil. Not to mention, this dog clipper is one of a kind because of its ceramic cutting blade complimenting the metal blade. It brings you better results compared to the metal blades and even lasts longer. Also, ceramic comforts your dog more than the metal blades as it won’t transfer heat even if you go on for a long time. In addition to that, you get to have the mobility of this Professional Dog Clippers because of its battery. As a matter of fact, this battery is going to last for at least 70 minutes. Also, it requires about 3 to 4 hours of charging, which is a lot compared to the running time. Note: This Dog Grooming Clippers is set to groom your dog without any hassle with its kit. Lastly, this Dog Grooming Clippers is useful for trimming the tangled fur but it requires more time. The precise blade made of ceramic actually cuts the fur with a minimum of patchy texture. Because of its R-shaped guide comb attachments make it possible. This dog shaver comes with a huge grooming kit for the utmost care of your dog. Ceramic blades get the work done with precision without heating up. R-shaped guide comb attachments allow an error-free trimming and grooming job. Battery takes a while to charge. Getting a precise cut requires practice despite the R-shaped guide comb attachment. Coming to one of the most important Dog Trimmers on our list, Bojafa Cordless Pet Grooming Clipper, as the name suggests, comes with functionality to be used cordless using battery power. However, this powerful pet groomer clipper also comes with a cord option, so you may use the Dog Hair Clippers using the power outlet even if the batteries are running out. The blades are made from titanium, which is the best possible blade you can get on a trimmer or clipper. The dog grooming razor comes with detachable blades and does not possess inbuilt adjustments. The Dog Hair Clippers you will be getting with this Professional Dog Clippers is 3mm, 6mm, 9mm, and 12mm. Moreover, the titanium blades make sure that your pet’s hair is cut with precision. The battery life of this Dog Grooming Clippers is 70 minutes once fully charged, which is decent. It also comes with an extra battery in case of an emergency or backup. However, the best thing about this pet grooming clippers is that it allows you to cut your pet’s hair effortlessly and without worrying about running out of batteries with the convenience of 2 power mode options. Grooming Accessories included: Pet clippers (one battery inside), AC Power adapter, Extra battery, Stainless steel comb, Stainless steel scissors, Dog Nail Clipper Kit, Nail File, Comb Attachments (3-6-9-12mm), User manual, Cleaning Brush. The price point of this Professional Dog Clippers is totally on point. Looking at the customer feedback, the Professional Dog Clippers is totally worth it besides not being a premium one. So any pet parent looking for a standard option, this is your choice. Grooming kit is included with this Pet Clippers. The price of the Pet Clippers is budget-friendly. Titanium blades are good to the skin and cut with superior perfection. These electric dog clippers allow you to use both cord and cordless options making it totally convenient and reliable in most of the situations. 70 minutes of battery life. These cheap dog clippers come with an extra battery. There is a lifetime warranty on the accessories. Adjustments are to be clipped on externally. Inbuilt adjustments allow you to make more customizations. Andis UltraEdge Detachable Blade Clipper is a heavy duty clipper that solemnly runs on power outlet and comes with a cord. Though it does not run with a battery, it comes with powerful motors that cut your pet’s hair swiftly. The Dog Hair Clippers come with 3 adjustments that you can add according to the length of your dog’s hair. These blades are made from stainless steel and are brushed with chrome. Though the build is good, I’d have appreciated it better if it came with titanium blades, which are more durable, precise, and safe. The most unique thing about this Pet Clippers is that it comes with a powerful two-speed rotary motor that can easily cut the hair of your dog, no matter how dense. Also, the blades come with the cool-off technology that allows you to remove the fur easily and prevents hair from clogging. Tip: If your dog has a dense coat and normal electric dog clippers do not work for you. You surely need to get this powerful handful of gear! The cord length is 14″, which is decent but very appreciable. You will constantly have to readjust yourself and the dog if your power outlet is at a decent height to cut the hair. This versatile dog razor comes in 5 different colors. You may choose one that suits your dog’s personality. Moreover, these Dog Trimmers come with a manufacturer warranty of 12 months, which is satisfactory looking at the price tag. And lastly, coming to the price tag, I personally feel that it is a bit overpriced compared to the other clipper that we have reviewed, which also provide more and better functionalities. However, it is one of the best pet clippers with a powerful performance. The blades are super strong and made from stainless steel. Overall, the quality of the Dog Trimmers is decent. The motor is superbly powerful and swiftly cuts dog hair. The manufacturer could have provided more adjustments. The cord length is a little short. Blades are not made from titanium, which is best in class for pet clippers. This heavy-duty Andis ProClip Speed Detachable Blade Clipper is made for professional hair grooming of a dog. It comes in a standard black color and performs the way a pet clipper should. Often, the dogs are afraid of the buzzing sound of the Dog Hair Clippers and run away as soon as they hear it, making their owner cut off the hair while they’re asleep, which, need not mention, often ends up in a failure. However, with Andis ProClip, you don’t have to worry about your beloved doggo getting afraid of the buzzing sound as it comes with finest of the technology that does not make a sound, even the motor does its work in complete silence. Moving on to the operation, the heavy-duty motor on this Pet Clippers does not get heated up easily and allows you to cut your dog’s hair peacefully and in a single run. Many a time, cheap clippers bought from local markets or online heat up easily and won’t work anymore. Here, dog parents should keep the fact in mind that it requires a little bit of time to groom a dog’s coat. It is not as easy as clipping human hair, which is also a reason why human trimmers fail against Dog Trimmers. Note: These Professional Dog Clippers work 25% faster than the ordinary clippers on the market and that too in complete silence! Overall, these Andis Clippers are perfect for dogs with all size of the coat. You can easily shave them off or trim them without worrying about them to be afraid of that buzzing sound or running out of battery. If you want something reliable than Andis is your choice. However, it is not recommendable for grooming due to short cord length. But it is surely a reliable pick for those who want the standard things to be done. The Pet Clippers is made to work silently without spooking out the dog. The blades are durable and firm yet soft on the dog’s skin. The motor of these Professional Dog Clippers works 25% faster than regular clippers. The cooling mechanism doesn’t allow the Dog Grooming Clippers to get heated up. Perfect to trim heavy coats effortlessly. A reliable choice for the standard pet parents. Clippers have a wider grip and range. Shatterproof housing keeps the Pet Clippers from breaking due to heavy load. Cord length could have been more. Enjoy Pet Dog Clippers are a budget option and Best Clippers for Dogs for the new age pet owners. These dog hair clippers are made with 33 steel teeth that precisely cut your dog’s hair. It cordless and runs on a battery so you don’t even have to worry about grooming inside the house and make fudge. These dog hair clippers make use of upgraded rechargeable Li-battery that is comparatively better than NiMH. These Professional Dog Clippers take about 3 to 4 hours to get fully charged and the battery lasts for about 5-6 hours, which is an amazing addition to the Dog Trimmers. Need not mention, there are very few Dog Trimmers on the market that promise such whopping operating power. Moving on, there is a charging indicator on the front panel that shows red when a low battery is being charged and turns to green once fully charged. Another striking feature of this dog hair trimmer is that it makes a very low sound, about 50-60 dB. So when you are trimming off your dog’s hair, you don’t have to worry about the dog spooking out due to the loud threatening buzzing. Tio: If you are looking for a reliable product that works on battery and helps you to trim dog hair occasionally, this is your choice. Though the Dog Hair Clippers are designed to make the least possible sound, the motor of these Professional Dog Clippers is quite powerful. No matter how dense and thick your dog’s hair is, these Dog Trimmers will chop it off like a pro. These Best Dog Grooming Clippers do not come with inbuilt length adjustments. You will get 4 external clips that you can attach on top of the head to choose the desired fur length. Lastly, this animal clipper comes with free comb and scissors that will allow you to do some extra grooming of your dog. Moreover, the Dog Hair Clippers come at a bargained price and couldn’t be any less. All in all, this is a worth deal. Battery of these Best Clippers for Dogs lasts for about 5-6 hours. These small dog clippers come with a charging indicator. More teeth on the stainless steel clippers. Powerful motor that easily cuts the hair of any length, density, and thickness. Works silently at 50 to 60 decibels. Comes at a budget price. Works for both cats and dogs. The hair sometime gets clogged up in the Pet Clippers. Moving further with our Dog Clippers Review, those who are looking for the Best Professional Dog Clippers for a long-lasting investment, WAHL Professional Animal Clippers is your choice. These Professional Dog Clippers are superbly powerful and deliver great performance on the fur of most of the domesticated animals. The Pet Clippers is designed in Hungary, while the blades are made in the USA, which makes them better Professional Dog Clippers than the cheap Chinese Dog Trimmers on the market. While most of the Dog Trimmers work with the same speed and power while trimming the fur, these Wahl Clippers work at a variable speed of about 3000 to 3700 strokes per minute. Whenever the Dog Trimmers detect an area with dense fur which may require extra power, they adjust the torque and speed automatically making it easier for you and relaxing for the pet. Another problem associated with pet grooming clippers is the clogging of dog hair. To make sure that such a thing is prevented, Wahl trimmer comes with a rounded housing. So do not worry about cleaning the Pet Clippers head minute after minute. This also increases the life of the Pet Clippers in the long run. Note: If you are professional, looking for investable Dog Trimmers, Wahl is your choice! Wahl understands that cutting of animal hair can be a tiresome job, especially with heavy clippers. If you keep trimming the dog fur using even a slightly heavy trimmer, you are likely to experience wrist pain. But with Wahl clippers, weighing only 12.3 ounces, leave all your worries! These Best Professional Dog Clippers are operated using a cord that goes directly inside the power outlet, which allows the Pet Clippers to work with more power than those with battery operated. The cord length is 10 feet, ideal to trim the hair off all kinds of animals. We have seen a lot of Dog Trimmers on the market that offer good power and performance but lack in cord length which eventually results in a hassle for the pet parent, which, however, is not the case with Wahl dog hair clippers. Lastly, the Dog Trimmers come with a 5-year warranty, which is enough for you to get the returns on it. Therefore, even though the dog hair clippers cost more than most of those on the market, the warranty and performance will surely make sure that your investment is safe and worthy. All in all, it is the best grooming clippers in the premium range. Professional clippers with a powerful motor and quality performance. Variable speed motor automatically adjusts speed and torque in tough areas. Works for animals such as dogs, cats, horse, and livestock. Powerful motor with 3000-3700 strokes per minute. Weighs only 12.3 ounces, which reduces stress on the wrist. Comes with a 5-year warranty (valid in the USA only). 14 feet cord length to effortlessly cut pet hair, no matter how big. Prevents the pet hair to be clogged using a rounded housing. One of the most premium Professional Dog Clippers on our review of the best dog hair clippers, Oster Volt Cordless Pet Clippers come with a Lithium-Ion Battery that promises to last for about 2 hours. Being quite costly, the Dog Hair Clippers offer some of the best in class features. The motor speed is 2400 strokes per minute and is not variable like Wahl. While Wahl offered variable speed that automatically adjusted torque as well to make sure that challenging pet body areas can be cleaned easily, these Oster clippers work on a little bit lower speed and higher torque so that the hair is trimmed effortlessly and swiftly. Lower speed and higher torque also make sure that the Dog Hair Clippers stay cool for a longer period of time and don’t heat up. Being large sized and powerful, these Dog Grooming Clippers are perfect to groom cats, horse, dogs, and livestock. The weight of the Dog Hair Clippers is 15 oz, which is just about perfect to make sure that your wrist does not hurt after a lengthy trimming. Tip: Purchase an extra battery and these Dog Grooming Clippers won’t disappoint you at all! The blade size is 10W, which means that you can easily cut all types of coat length with these Dog Trimmers with a precision of 1/16″. The charging time of the Dog Hair Clippers is about an hour and lasts for almost double the charging time, that is 2 hours. All in all, although these wireless clippers come at a steep price, they lack in providing thrilling features that make you pay almost 300 bucks off your pocket. However, if you are a professional groomer that is tired of wired dog hair clippers, you may opt for this one and purchase a few extra batteries as the performance of these Dog Grooming Clippers is on point. Can be used for the professional purpose, provided that you purchase an extra battery. One of the most promising cordless trimmer. 10W blade size is ideal for all size of coats. Charging time is about an hour. Weight of the Pet Clippers is comfortably low. Battery life is not exciting. The price is too steep. WAHL Motion Lithium Ion Clipper is a 5 in 1 dog groomer that is used to professionally trim dog’s hair. The Pet Clippers mainly runs on battery but can be run using direct power. With a slick design, multiple power source, constant torque technology, this Wahl Motion Dog Hair Clippers are totally worth it. The battery of this Pet Clippers lasts for 90 minutes to a couple of hours. The charging time is 60 minutes. There are charging indicators on the front interface as well. The 5 in 1 head of the Pet Clippers can be adjusted to different width setting including #9, #10, #15, #30, and #40. There is a scissor finger grip provided with the Pet Clippers. It is removable and can be used for a more comfortable grip and stability. The Dog Hair Clippers also comes with 6 Guide Comb Attachments that allow you to use adjust the length of the trimmed coat of your dog. Note: This multi power input trimmer is one of the best on the market in terms of return on investment. This Wahl trimmer is pretty powerful and comes with a whopping 5500 strokes per minute. Moreover, it features a constant torque system that makes sure that the Dog Hair Clippers do not stop working even in the densest and toughest of the areas. Wahl dog hair clippers is one of the lightest on the market weighing only 9.4 ounces. The lightweight feature makes it ideal for professionals to trim hair without being susceptible to wrist pain. The price of this Wahl clippers is a little bit on the high side, however, if you are a professional looking for a long term investment in a promising Professional Dog Clippers, this Pet Clippers is your ideal choice. Comes with a removable scissor grip to make it more secure, stable, and comfortable. One of the Best Cordless Dog Clippers that is lightweight for easier handling with reduced pain. Powerful trimmer with 5500 strokes per minute and high torque. Runs both on batteries and power outlet. Comes with 6 guide comb attachments. 5 in 1 to adjust the head size according to the application area. Runs for about 90 minutes on a single charge. A few reviewers have reported that the Pet Clippers refuses to shut off sometimes. If you own a dog that has a very dense coat or thick fur, then you will require a tool with a bit extra strength to easily trim off those clogging hair off. Jempet Shears are designed for animals like sheep with a very thick coat. However, they work like a miracle on the dogs as well. The only necessity is that your dog should have a heavy layer of hair. Though designed especially for wool grooming, sometimes dog parents require to trim off all the fur off their beloved dog to ensure better health, especially in the hot weather for dogs with a heavy coat of hair, that is when these pet shears come in action. These shears, as the image above shows, are highly professional and tough. The head is made with precision to not to break or clog due to any amount of complexity. We do not recommend these dog shears for regular pet owners. However, if you are a professional dog groomer or even a vet, this is an ideal piece of equipment to add to your inventory. Note: Want a swift operation of completely trimming off your dog’s hair? This pet shears is your choice! The dog shears run on a powerful 500W Motor with 6 adjustable speed settings. You can choose the speed setting according to the size of the application area and the density of fur. Moreover, Alloy Adjustable Blade Set comes with 13 set of sharp teeth that easily remove coat without hurting your dog. All in all, this dog shears may not be an ideal option for everyday pet owners, however, it is a must have tool for professional groomers. The best dog shears on the market with powerful 500W motor that trims off dog hair effortlessly. The speed is adjustable for up to 6 settings. The rotatable button makes it easier to trim fur. Cutting speed is about 2400 rpm. The price of this cheap dog clippers is competitive. Highly durable and tough dog shears. Works on most of the animals with a dense coat such as sheeps, goats, camels, horses, dogs, cats, and more. Not meant for regular pet owners. Does not include size adjustors to trim off the fur. 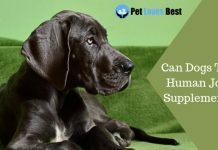 If you are looking forward to purchasing dog hair clippers, our buyer’s guide will help you to make a wise investment that will not only last you long but will also give you the best performance according to your needs. All our above Dog Trimmers worth the money, however, if you are still confused regarding what to choose, make sure to follow this simple buyer’s guide with all the necessary information. Choosing the best dog clippers depends on a number of factors. Below are some of the foremost things you should keep an eye on while purchasing dog hair clippers. This carefully crafted information will surely help you determine what are the best dog clippers. First, when purchasing a dog clipper, determine if you want it for home or professional use. The major difference between a professional dog groomer clippers and a home clippers is the working capacity. Both professional and home machines may advertise themselves as being able to function at same strokes per minute, torque etc. And in most cases, these Dog Trimmers may give you similar performance as well. But as soon as you intend to use it multiple times a day, the one with home purpose may give up pretty easily. Professional dog hair clippers are designed to function rigorously. They have the chipset tough enough to last even if used multiple times a day. On the other hand, Cordless Dog Clippers with home use are not designed to work multiple times a day. Therefore, if you try to work with them multiple times a day, they’ll easily overheat and wear out. On the other hand, professional clippers, due to the obvious reasons cost you much more than home-use ones. Usually costing more between 100 to 200 bucks, some of the Dog Trimmers can come with an even larger price tag. On the contrary, the home-use Dog Trimmers cost less than 100 bucks. Therefore, it is important to pre-determine your use. If you are a pet parent that owns one or a few pet dogs, you may opt for home clippers. They are cost effective and provide a decent return on investment. Nowadays, there are clippers available on the market that run on both battery and power outlet. These Professional Dog Clippers cost a little extra than the conventional ones. However, for those who want convenience and reliability, must opt for it. Another major specification to look at is if the pet hair trimmer is wired or wireless. Although both the Professional Dog Clippers work fine and don’t cause a problem, wireless, for obvious reasons, is more desirable. Working with wired clippers is a little bit tough for home users as the wires may tangle with each other causing you to stop trimming in between. Moreover, this problem causes more hassle if the cord length is low. Some of the cheap manufacturers mainly from China provide clippers with less than 2 feet of cord. In order to easily trim your pet’s fur, you need to have clippers that can reach all the positions without bothering your pet. The ideal length for cord should be about 5 to 10 feet, anything less than that is not worthy of your time or money as it will require you to change your position frequently disturbing the process. If you are a professional groomer, we suggest you go for wired clippers as they offer more durability, performance, and toughness compared cordless ones. Those who are everyday home users should opt for wireless dog hair clippers. These Dog Grooming Clippers are easy to handle for any new user that doesn’t have any experience with dog grooming. The only problem one can face with a wireless trimmer is that the battery may run out if you invest in a cheap one. Therefore, if you are thinking of going for a wireless dog hair clipper, make sure that you choose a good brand with reliable service quality. Although there are good brands available on the market that provide you with wireless dog clippers, professional groomer should not opt for it unless they groom less than 3 dogs a day and are willing to purchase extra batteries. Talking about battery life, if you’ve already decided to go for a wireless device, which you should if you are a pet parent looking for home grooming of the dog, you must take care of the battery life. Ideally, grooming a dog may take from about an hour to an hour and a half. So make sure that the device that you purchase has a battery life of at least 90 minutes. Also, the device should be easily charged. If the battery life is low, make sure to purchase extra battery beforehand. The blade of good dog clippers, ideally, should be made from titanium. Titanium is one of the toughest materials that does not only provide you with precise trimming or grooming experience but also ensures that the edge and life of the blade are longer than those made with other metals. Then comes the blades made of stainless steel. Though there is nothing wrong with these ones, titanium blades give better performance when dealing with a thick coat of dogs. Especially in the dense areas. Blade material is an important aspect when it comes to choosing the best clippers for long haired dogs. If you choose to go for pet hair trimmers with more than 100 bucks, we advise you to make sure about the warranty of the Professional Dog Clippers. Moreover, ensure that the Professional Dog Clippers is serviceable in your area or region before purchasing. Some of the silent dog clippers come with free accessories such as extra scissors, combs, oil, cleaners, etc. Also referred to as professional dog grooming kit, having these free accessories may come in handy while grooming the dog. Dog grooming is a tiresome process. You will need to change your hand position as well as your own posture frequently. Doing this often can lead to wrist pain, especially if your clippers are heavy. Therefore, make sure to go for lightweight dog hair clippers. The ideal weight, in our opinion, should be below 400 grams. Strokes per minute indicate the speed of the pet shaver. More the SPM, more swiftly the work will be done. However, torque also plays a crucial role in the process. When dealing with tough areas, where either the coat is dense or the fur is thick, the Dog Hair Clippers need to have a decent amount of power to perform the operation easily and efficiently without hurting the dog. There are manufacturers on the market that provide Dog Trimmers with variable and static torque. Choose wisely and according to your need. Cheap-end Dog Trimmers do not only make extra noise that disturbs the whole ambiance but sometimes also spook out the dog. For some dogs, the grooming process itself is terrifying and combining it with a buzzing sound creates undesirable situations. Therefore, make sure that the Dog Trimmers that you purchase produce the least possible noise. The noise is measured in dB (decibels), which should be mentioned on the packaging. So these were petlovesbest’s review of best dog hair clippers on the market. We have made sure to cover all the necessary picks for both the home users and the professional dog groomers. Dog grooming is a necessary part of a dog’s life, whether it is for hygiene purpose, competitions, to enhance its look, or just due to the shedding season. Being able to groom your dog’s fur right at home results in a comfortable experience for the dog compared to visiting a professional groomer. Therefore, make this small investment for the best of your dog. If you’ve got any query or suggestion, Pet Loves Best is always there for you. Just comment your words below.